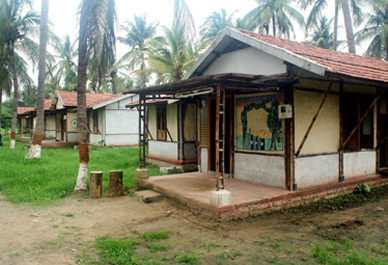 The journey of Muni Seva Ashram began with the tribal communities of Goraj, and to help them live better lives, Eklavya Model Residential School was established. Today, the role of the school transcends from just tribal communities and touches the lives of all aspiring students. The school aims to provide quality education for the holistic development of the tribal & non-tribal children based on strong Indian values, modern technology and in complete harmony with nature. 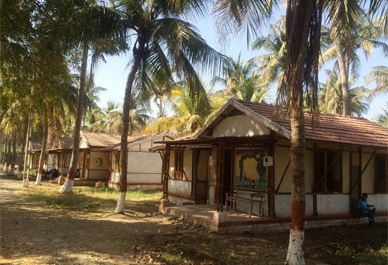 Established in the year 2010 the school is an English medium co-ed residential facility operating on PPP model in association with Tribal Development Department, Gandhinagar. Presently, the school provides education to students from standard 6-11. In terms of curriculum, the school follows CBSE curriculum prescribed by NCERT from standards 6-8 and GSEB curriculum from standard 9 onwards. In academic year 2015-16, 11th science stream was introduced, which will be continued to class 12 in the coming year. Continuous & Comprehensive Evaluation (CCE). Primary Section (Nursery to standard 5) is underway. Current strength: 195 (177 Tribal students +18 Non Tribal students). Government shares a portion of recurring expense of tribal students. Admission criteria: 50% Tribal and 50% Non-Tribal children. Every year admission of two students from our Baxipanch Sharda Mandir on merit basis with free education for seven years is granted. Admission to girls from Parivar Mandir on priority basis with free education up to class 12th is also accounted for. The school is renowned to produce athletes who perform exceptionally well at state and national level tournaments. School has Computer Science lab, Library, Music, Art, Playground Physics, Chemistry, Biology lab, Robotics lab, and Individual Eureka activity kits for science experiments from class 6th to 8th students.